Ethical Local SEO services by Google Local Pro uses only white-hat ethical search engine optimization techniques. Our Local SEO Marketing services are completely ethical and are designed to increase your website’s search engine positioning. The better we help you rank in the local search results, the more exposure your business gets, and that means better income potential for you. 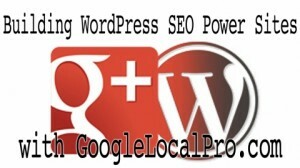 Google Local Pro does not perform any activities that will get your site banned, penalized, or blacklisted on Google. That means no keyword stuffing, no doorway pages, no cloaking, no hidden text, no external landing pages, no link farms, no spammy backlinks or use of any of the other black-hat techniques. Ethical Local SEO services by Google Local Pro are 100% beneficial to your website’s health and longevity. No SEO practitioner will intentionally do harm to a client. This involves the continued use of any technology or procedure (without appropriate care) that is known to result in having the client site removed from search engine indexes or directories, or rendered inoperative. Questionable adherence to standards must be addressed via the Robots Exclusion Standard. No SEO practitioner will intentionally violate any specifically published and enforced rules of search engines or directories. Should rules and guidelines change (as they often do), the SEO practitioner will promptly take action to comply with the changes as they apply to all clients. Where rules and guidelines are unclear, the SEO practitioner will seek clarification and await approval from the appropriate search engine before continuing to utilize potentially harmful technology or procedures. No SEO practitioner will intentionally mislead, harm, or offend a consumer. All individuals utilizing a search engine to visit a site will not be misled by the information presented to or by the search engine, or harmed or offended upon arrival at the client site. This includes techniques like “bait and switch” where the client page does not substantially contain and is not clearly associated with the optimized phrase, or may be reasonably offensive to targeted visitors. No SEO practitioner will intentionally violate any laws. This involves the deliberate and continued violation of copyright, trademark, servicemark, or laws related to spamming as they may exist at the state, federal, or international level. No SEO practitioner will falsely represent the content of the client site. This includes the practice of presenting different versions of web pages to different users except where that information is altered solely to meet browser specifications and needs, sensitivity to regional factors such as language, or product specific needs. In general, ALL requests for a specific URL should be served identical HTML by the web server. No SEO practitioner will falsely represent others work as their own. This includes the taking of work from others in whole or in part and representing this work as their own. The SEO practitioner may not make verbatim copies of the work of others (instead of authoring original work) without the prior consent of the other party. No SEO practitioner will misrepresent their own abilities, education, training, standards of performance, certifications, trade group affiliations, technical inventory, or experiences to others. This includes quantifiable statements related to project timetables, performance history, company resources (staff, equipment, and proprietary products), and client lists. Guarantees will be restricted to items over which the SEO practitioner has significant and reasonable control. No SEO practitioner will participate in a conflict of interest without prior notice to all parties involved. This includes the practice of choosing to emphasize one client over another in competing keywords because there is more personal gain for the practitioner. 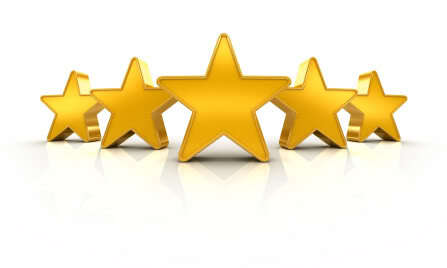 All clients are treated equally and all will receive equal best effort in their Search Engine Optimization. No SEO practitioner will set unreasonable client expectations. This includes the practice of accepting more than a reasonable number of clients competing for the same keywords and implying that all will be in the top positions in the search engines. This also includes the implication that results can be obtained in an unreasonable amount of time given the known condition of the search engines, client site, and competition. All SEO practitioners will offer their clients both internal and external dispute resolution procedures. 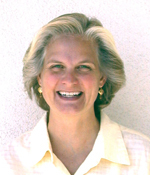 This includes the publishing of address and phone numbers on primary web pages, the inclusion of third-party dispute resolution links prominently placed within the practitioners web site, and contracts that include sections discussing dispute resolution. All SEO practitioners will protect the confidentiality and anonymity of their clients with regards to privileged information and items implying testimonial support for the SEO practitioner. All staff of SEO practitioner shall be bound to protect information that is not generally known as it may harm the client. The SEO practitioner will not include the publishing of testimonials and proprietary logos of client lists, press releases, and other collateral discussing the client without explicit approvals. 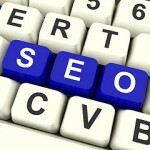 All SEO practitioners will work to their best ability to increase or retain the rankings of client sites. Clients are contracting for fee with the SEO practitioner in order to obtain and retain search engine placement. The SEO practitioner is charged with an obligation to utilize appropriate and allowed technology and methodologies to improve and retain the rankings for their clients in the face of shifting search engine technology, competition, and client web site needs. Think of the Internet as the biggest library-like source of information in human history, with one major difference from a actual library. The Internet is not organized, nor is all the information out there credible. This is where search engines come into play and why SEO services, SEO ranking and SEO optimization strategies are so important to real businesses who provide real information, services and products. We call it being in the Top 10 of a search engine. It means your web site is listed on the front page, in the first 10 results, of any given search engine listing for your keywords … and that’s referred to as a Natural Listing or Natural Results. In reality, your web site coming up in the top 10 of any search engine is anything but natural. Appearing in the top 10 for your business’s keywords will bring in potential customers to your web site just as effectively as the businesses that pay for the Google Ads and Yahoo Ads, but it’s more cost effective to you because you didn’t have to pay $3-$20 per click like they did … and remember, clicks don’t mean sales, it just means someone clicked onto their web site. Also, I’m not inflating those prices … if you want to compete with the big boys at the top of the keyword list on Google, that’s what it’s going to cost you. Suddenly optimizing your web site has much more importance to you doesn’t it?! Search engine ranking and optimization is a highly specialized field of Internet study combined with the ability to write decently. Search engine users are what we call a targeted audience because they come looking for your business and usually want to buy what you sell. You don’t need to do anything, but provide them a clean web site that nicely displays your products, and close the sale (but that’s another article). Every web business needs a web site marketing plan with a solid search engine ranking and optimization strategy. The Georgia Institute of Technology says more than 85% of all Internet users find new web sites through search engine search listings. Data shows that search engine listings are the number one way to generate traffic to a web site. Think about it … when you got your very first computer, hooked it up and wanted to go out onto the world wide web … didn’t you ask yourself, How do I find web sites? Then you discovered what a search engine was and from there, you relied on the search engines to give you keyword results and that’s where you played on the Internet. That’s what millions of users do everyday. These are people who are not tech savvy like you and me. They use search engines as a way of sifting through the myriad of web sites out there, narrowing their search and focusing them on the top 10 results. The goal of any SEO company is to get your web site to rank in the top 10 for your set of keywords, bringing you the people who are searching for the goods and services you provide. SEO services involve knowledge of SEO optimization, web site planning, SEO experience and having the right SEO tools, but most of all it requires patience because getting your web site into one of those top positions on the search engine results pages (SERP) takes an average of 1-3 months. Any SEO company will need to tweak your web site and it’s content, and then wait for the search engines to make their changes. The goal is to achieve and maintain true search engine optimization and placement for your web site. By hiring an SEO company like us, to handle your search engine optimization you will see results. A good SEO company will bring you good search engine placement, and any business that can get the targeted traffic should also get the conversion necessary to drive profits up if the web site is able to close the sale. Your web site content should both drive SEO optimized traffic to your web site and help close the sale. A good SEO Copywriter can help with both! ROI is the return on investment. You need to compare your ROI for the costs of placing pay per click ads (PPC) with Google and Yahoo vs. the cost of optimizing your web site to get a natural ranking. How competitive is your market? If it’s highly competitive, like the Finance market is, then you’re most likely going to need to do both to make it in that business online. This is where where our SEO experience can be invaluable to you and the success of your online business. Forrester Research reported that Over 80 percent of all Internet users reach sites through search engines. Translated, that means if your web site isn’t attracting 80 percent of its visitors from search engines, you’re losing out on a lot of free traffic. A study from the NPD Group found that search engine listings are far more effective than standard banner or button advertisements when it comes to brand recall, favorable opinion rating, and conversion of traffic to sales. In unaided recall, search listings outperformed banners and buttons by three to one. More than twice as many people gave a more favorable opinion of companies in the top three search positions than those featured in ads. The study also found that 55 percent of online purchases were made on sites found through search listings, while a mere 9 percent were on sites found through banner ads. You do the math! Search Engine Optimization is clearly linked to a better ROI for your business. Based on our own internal calculations, the current cost of getting customers through a good SEO optimization strategy is less than half of the cost of pay-per-click services such as Yahoo’s Overture or Google’s AdWords. We also know that organic or natural traffic, that comes to your web site from natural search engine ranking, converts better than traffic delivered via pay-per-click search… because the traffic is better targeted! Not all, but most people don’t want to click on the Ads and prefer to click on the organic links instead. Search engine ranking and SEO optimization is cost effective and should be a high priority. While the search engine ranking and SEO optimization process is complex and time consuming, it is very do-able if you know what you’re doing. That’s why you may want to hire an SEO writer. SEO optimization is not only about working your web pages to match the ever changing search engine algorithms of all the major search engines, but it’s also about trying to out-rank your competitors. If you are new to SEO optimization and want to learn more, Google Local Pro has a lot of tutorials and articles regarding SEO. It’s one of the hardest pages to find on the internet, and yet one of most important to know about if you are using Google Adwords to advertise your business. I grabbed the page information for my clients to easily access any time they need it. It is great to see Google making more of an effort to provide customer services and user relationships with their various businesses. The Google Ads Team is available now, and with five different ways to get answers, you can simply choose the best one for you. We’re here, and we’d love to help your business succeed with Google. Learn more about how to contact us for help with other Google products. Talk with the Google ads team from 9:00 a.m. – 8:00 p.m. EST, Monday through Friday at 1-866-2GOOGLE (1-866-246-6453).Calling from a different country? See our full list of phone numbers. Get immediate help online during the business hours listed above. Live Googlers are standing by! Chat now. Fill out our contact form to email us with any questions you have about your advertising, and we’ll get back to you within 24 hours. Email us now. Get advice from a community of business people who use AdWords everyday. It’s free, fast, and to the point. Ask now. Adwords Support from Google Local Pro in Santa Cruz, CA serving the Local Search SEO community in Mountain View , California . Now that Google is working with more than thirty times as many Local business searches as the Yellow Pages, making your company findable to your customers online is crucial. The Google Local Pro Google + (plus) Places Optimization services give your business the best possible opportunity to reach your clients, instead of your competition.Bobbie Grennier is a Reputation Marketing Pro at managing how your company’s data is listed in all your online citation directories, in a way that ensures your business is found in Google Local Search and Google Plus results. Google search engine has changed our world, even in Santa Cruz, CA small business owners must now participate fully online to reach their customer base. Local search directories such as Google Places, and the Bing Business Portal are now directing their focus on delivering targeted results to the ever-growing number of users who rely on search engines to provide complete localized business results. Google’s mobile search services are also taking full advantage of the massive number of smart-phone users who find products and services near their location by searching on their cell phones and mobile devices. There are now five times as many Local Business Searches being carried out by smart-phone users as there were just two years ago. Is your business updated to the current systems? Are your clients finding you? 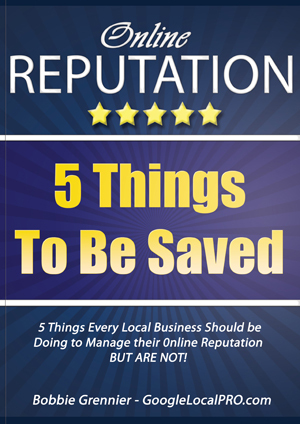 If not, then you should give me a call and let me help you get your Local business on the internet map. At its Inside Search event on June 14th 2011, Google announced a number of major improvements to its local search services, as well as a number of other core products. It’s designed to make searching for local business information (for Santa Cruz) even easier for the growing number of users accessing Google from their smart-phones. Google’s search products open huge possibilities for your business to reach the increasing number of new clients searching for you. 5-star service with excellent results! Got my business on the first page of Google. Here is a list of all Santa Cruz County Parks. Click on the park name for its page with all the park’s information. Winkle Farm - 3201 Winkle Ave.
Wowzers! Your customers are using their mobile devices to shopping locally; 64% of shoppers are using tablets to conduct weekly local searches, while 61% said they use their smartphones. Not only do you need to be ranking for Google Local Search, but your website better be mobile friendly. 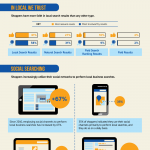 This infographic (courtesy of Milo outlines the 5th Annual Local Search Usage study conducted by comScore) highlights search trends among consumers. Retailers like you should use their online presence to increase foot traffic into your brick-and-mortar store(s).